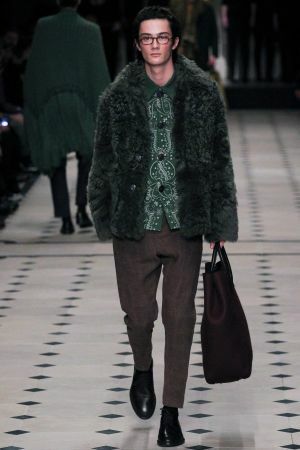 Men’s Fall 2015 Fashion Week continues, currently in Milan, where some of the best men’s presentations take place every season. 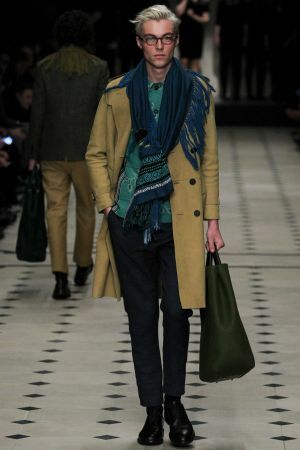 Our favourite collection so far has by far been Burberry. 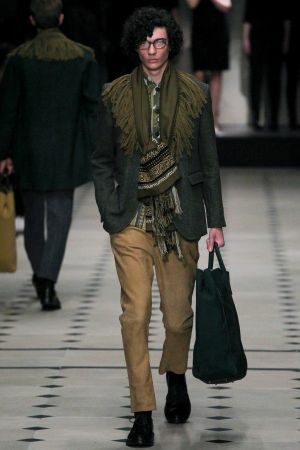 Christopher Bailey’s collection titled “Classically Bohemian” embodied those two exact words. 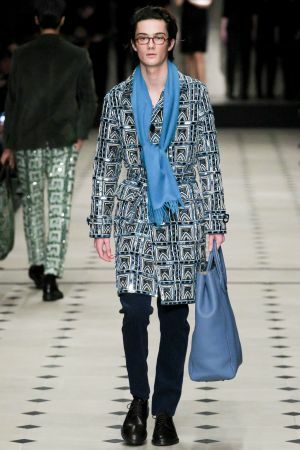 Classic Burberry trenches were reimagined in bold graphic prints and his cocoon coats in smooth velvets. 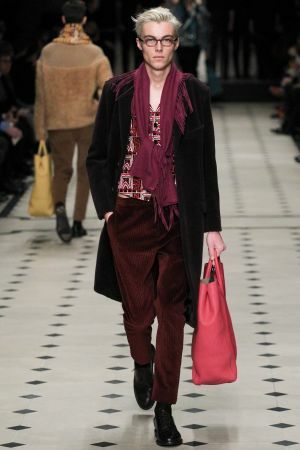 Floral shirts and paisley scarves, inspired by the quilts made near the designer’s birthplace in East Yorkshire, gave the collection a resounding bohemian tune that made it easy for the fringed shawls and ponchos to take their place draped over the shoulder’s of the models with ease. 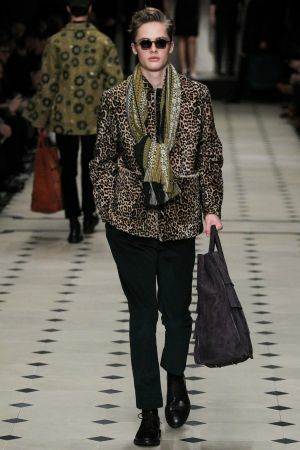 Models embraced a variation of fun ‘fros and others wore a classic side-slick. 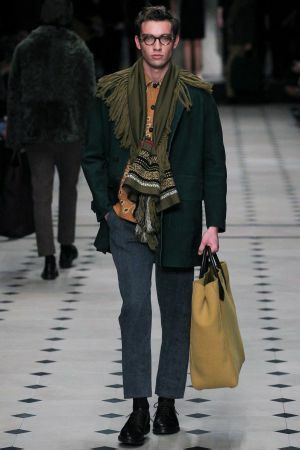 Altogether it made for a fantastic presentation and beautifully showcased how to implement the 70s bohemia trend (that seemingly won’t disappear anytime soon) into an everyday look with absolute flair and class.